I need help putting an age to this beast. I had thought it might have come from the fifties, but after looking over a portion of G.E. 1950’s production have changed my mind and presume forties, with chance of a1930’s birth date. I can’t find any catalog info, Google search turns up nothing, and I’ve never seen another remotely like it. It’s a curiously-constructed device, pretty strong and heavier than needed for easy mobility. 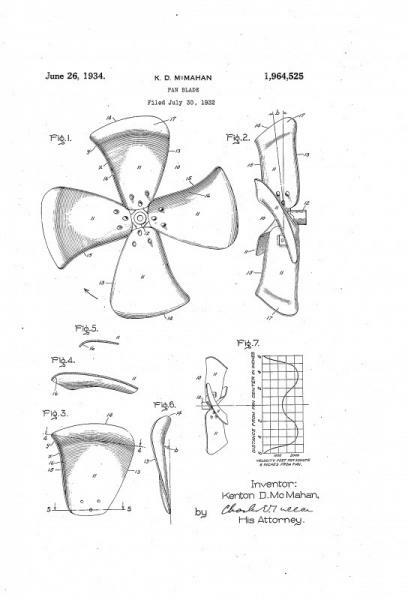 The patent listed on the tag is for the McMahan fan blade issued 1934— more support for 1940’s birth date, if not thirties. 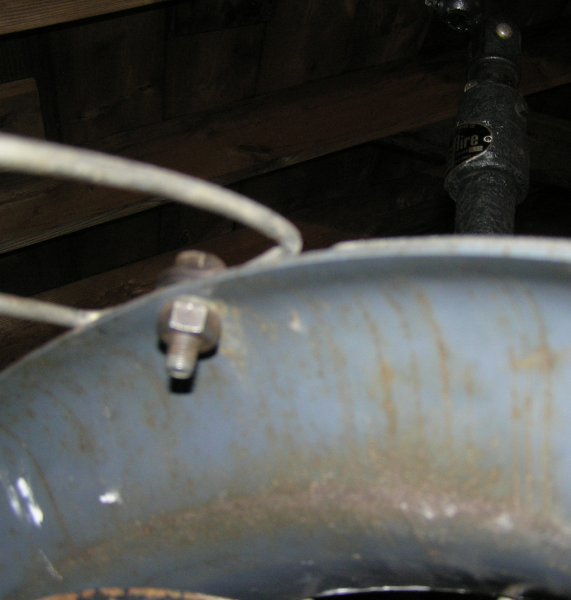 It must have required sincere effort to remove the missing portion of the cage, because that is hefty gauge wire. 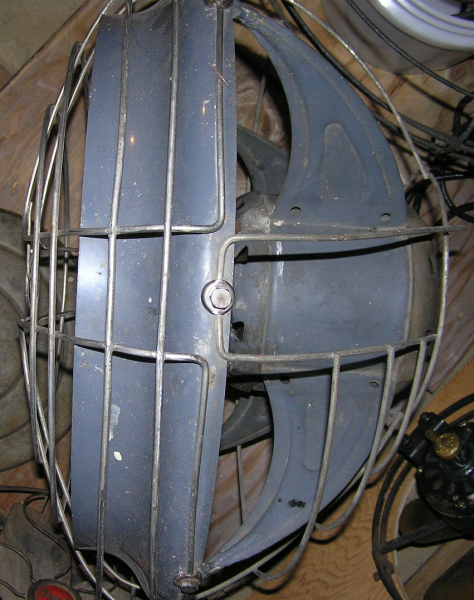 The small aluminum G.E. monogram button also seems consistent with what I’ve seen from 30’s-40’s. Can anyone nail down a date on this machine? I think it was Ken Rodini had a nice pedestal version of that model. I dig it. Austin B Ko wrote: My 37 GE catalog. Michael Mirin wrote: the tag. 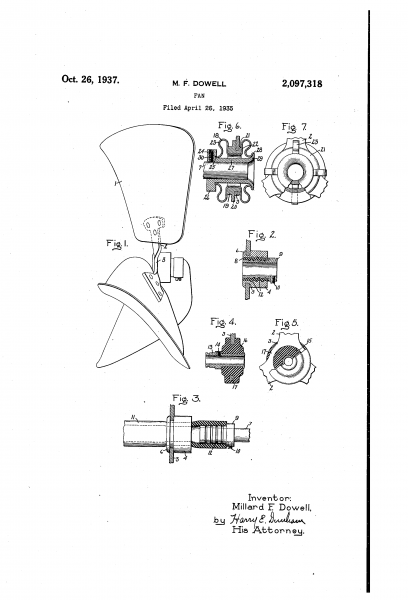 That fan was introduced in 1936-37. This was GE's first pedestal. The Vortelex came after this one. Thanks for the replies, those are great answers. I’m staggered that there’s a pedestal version. And one link suggests hanging the unit from the ceiling! I’ve been preparing to mount a suitable G.E. 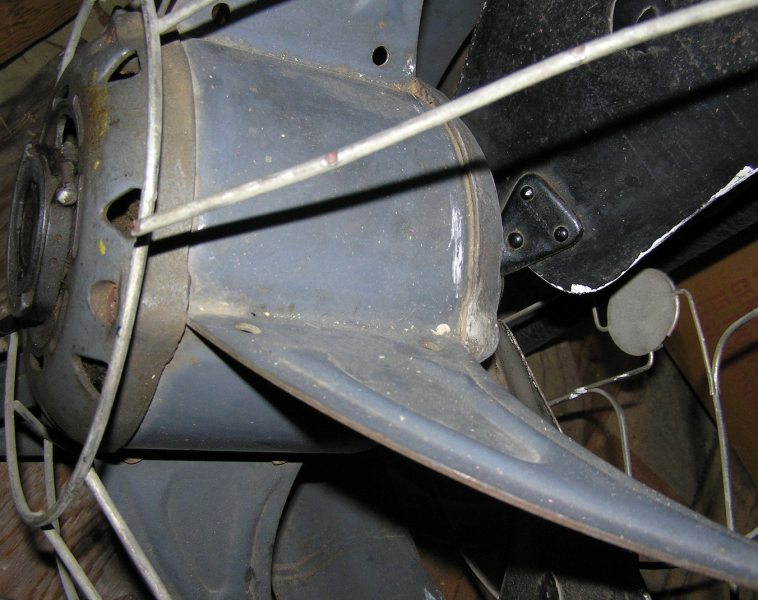 switch box on the rear base strut, as opposed to an in-line click switch, but guess I’ll reconsider what’s to be done. At any rate, I’m real pleased to know its age. The industrial yet finished look of the thing has appeal. It is bulky and will surely remain earth-bound. Thank you all for the assistance. And now, I have to ask: Russ, who is your avatar? Can I see a closer picture of that top mount? Page processed in 0.1901 seconds (12% database + 88% PHP). 31 queries executed.